Uber talented fashion stylist and new mum, Charlotte Kewley takes us behind the scenes on the AW15 fashion shoot for hot new girls label Oh…My! Charlotte, 31, is a freelance fashion stylist and new mum to Isabella, 11 weeks. She lives with her husband Jonathan in London. Oh…My! 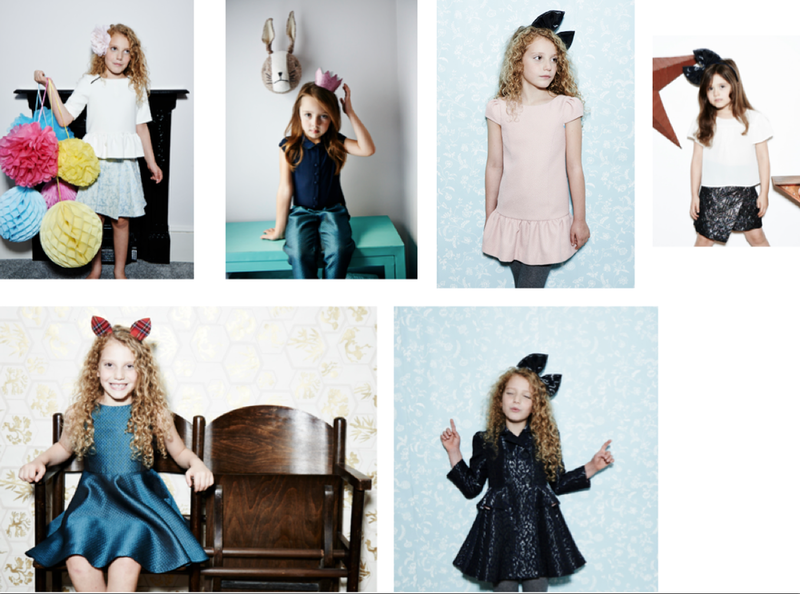 is a brand new quintessential British brand for little ladies aged 4-11 years old. And it’s really cool. Think modern florals, graphic prints, sixties shapes and Chanel style twee jackets and dresses. 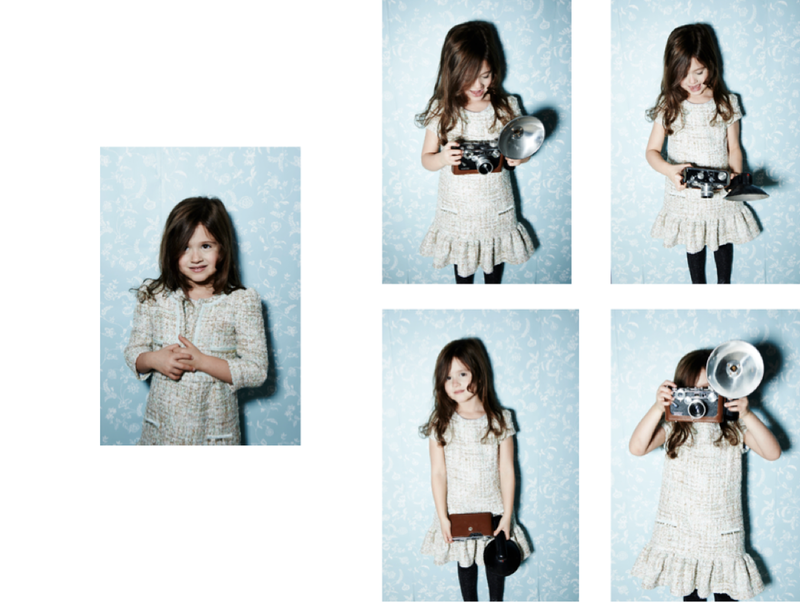 I basically wish they made everything in adult size so was really excited to shoot their first ever collection. 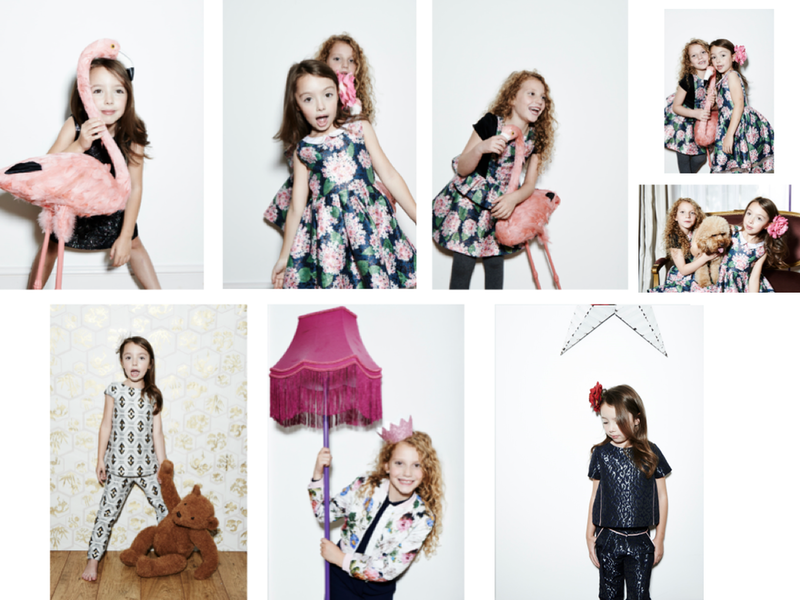 Stars of the show: No, not our gorgeous models (although they were great too – thanks Florence, Ella and Lottie!) but Arthur the poodle, ‘Feathery the Flamingo’ and a blow up dinosaur! 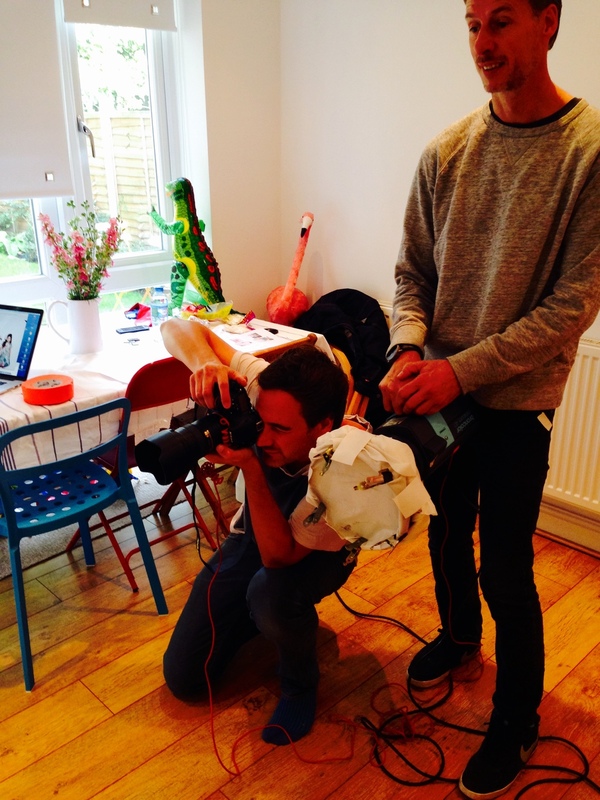 They say never work with children or animals… hmm. The look: We wanted our models to look like 6-year-old girls. We didn’t want them to look to grown up/have on loads of make up etc.… they’re all natural, cool, individual girls with a great look so we really wanted to get that across and for them each to wear the clothes in their own individual way. We used cute ‘Sunday best’ style shoes to emphasise the ‘occasion’ element of the clothes but also shot some outfits barefoot to give the whole thing a relaxed, pretty, whimsical vibe. Cute hair accessories helped the girls make each look their own and we encouraged them to play around and have fun throughout the shoot. I have a bit of a star obsession! My fave looks from the shoot were the Chanel style crop jacket and matching dress and black jacquard 60s style A-line dress and matching coat. Want. Thanks so much to Charlotte and the team for letting us take a sneaky peak at them at work! The end result looks stunning. Good work!